Upon arriving, new patients will be greeted by our front office team. You will be asked to fill out paperwork, if you have not done so online. 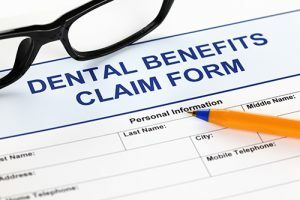 If you have dental or orthodontic coverage, or if you are unsure, bring in your insurance card so we can verify your benefits. New patients should plan to spend at least an hour with us for your first visit. We want to make sure that all of your questions are answered. After a thorough evaluation, including teeth and facial pictures, Dr. Khouri will discuss a possible treatment plan with you. At the end of the evaluation appointment, our Treatment Coordinator will go over the fee estimate and any other questions you may have. We understand that cost is always a consideration when looking into getting orthodontic treatment. We believe that finances should not get in the way of having the smile that you deserve. It is our mission to provide you with affordable treatment that fits within your budget and needs! We offer a variety of payment plans. Please ask us about financing options, credit card payments and automatic bank drafts. Our office is committed to helping you maximize the most from your insurance benefits. As a service to our patients, we bill insurance companies for your treatment. Because insurance varies, we can only estimate your coverage in good faith, but cannot guarantee coverage due to the complexities of insurance policies.